Reformation OPC is governed by a body of elders or session. Stephen was born and raised in the Orlando area. He grew up outside the church as a non-Christian, but came to saving faith in Christ at the age of fifteen. Ever since his conversion he has had a passion to personally grow and to help others grow in the knowledge of and obedience to Christ as Lord and Savior. 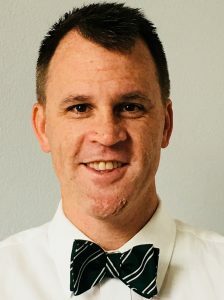 In 1997 Pastor Oharek graduated from Covenant College (Lookout Mountain, GA), and in 1999 from Reformed Theological Seminary (Orlando, FL), before serving in 1999 & 2000 as a year-long pastoral intern at Emmanuel OPC (Kent, WA). In 2001 he was ordained and installed as Pastor of Covenant OPC (Cedar Falls, IA). In July of 2008 he and his family moved from Iowa back to Florida where he assumed pastoral duties at Reformation OPC. Stephen and his wife Lisa have four children. Pastor Chilton served on the staff of Campus Crusade for Christ for 20 years at various locations in the U.S. and Europe, and he now works in secular employment in the Orlando area. He is a graduate of Gordon-Conwell Theological Seminary (South Hamilton, MA) and has been an ordained minister in the OPC since 1998. He is married to Wendy, who plays piano for the church, and they have four children. John, a native of Long Island, New York, serves as a ruling elder of the session for Reformation OPC. He also serves as the OPC’s historian and is a member of the denomination’s Christian Education Committee. 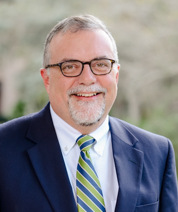 Additionally, he is dean of libraries and professor of church history at Reformed Theological Seminary (Orlando, FL). John and his wife Kathy have four children. Dave grew up near Grand Rapids, MI, and graduated from Covenant College, where he met his wife, Joy. 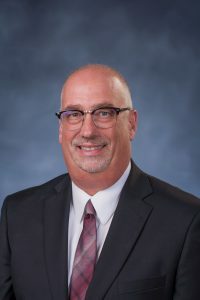 He earned a Master of Divinity degree from Reformed Theological Seminary and now works there as Vice President of Administration. He serves as a ruling elder and clerk of session for Reformation OPC and is a member of the denomination’s Committee on Coordination. Dave and Joy have three children. Scott Sistare is a native of Lexington, SC. He grew up in the United Methodist Church and the Presbyterian Church in the USA (PCUSA). 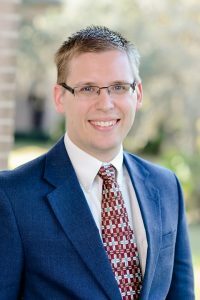 During Scott’s college years at The Citadel, he attended a variety of churches and served in both InterVarsity and the Fellowship of Christian Athletes. In the Lord’s providence, after Scott and Heather were married they learned more of the reformed faith while attending Lake Sherwood OPC and Reformed Theological Seminary. They joined Reformation OPC in 2003 shortly after the church was planted. Since then, Scott and his family have been attending reformed churches in both the OPC and PCA as they moved often due to work obligations. In these reformed churches, Scott has taught various age groups the Westminster Confession of Faith and shorter catechism. Scott and Heather have been married since 2002 and have four children.